Welcome to Our Madera Dental Office! - Bassam Michiel, D.D.S. 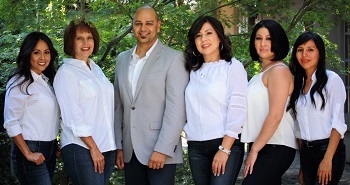 Welcome to Our Madera Dental Office! 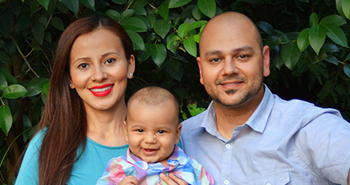 My name is Bassam Michiel and I’m a dentist proudly serving Madera, CA and the Central Valley. I invite you to take a look at how our dental office is different. From our personal caring touch, to the state of the art dentistry we offer. Our mission is to provide dental care of the highest quality to patients of all ages in a warm and friendly environment. Thank you and welcome! Have you heard that the your dental health is directly related to your overall health? It’s true, a healthy mouth is the first step to a healthy body! Studies show that people with serious gum disease are at a higher risk of stroke, heart disease, and diabetes. My goal as your dentist, is to keep you healthy by identifying your unique dental needs as early as possible. Preventing dental issues begins with risk assessment and identifying your unique needs, but it doesn’t stop when you leave my office. I’ll work with you to create a plan you can implement at home to be sure your teeth stay healthy between visits. Do you know someone who brushes twice a day, flosses every night, visits the dentist every six months, yet still gets cavities? Or do you know that obnoxious person who doesn’t seem to take care of their teeth, but they’ve never had a cavity? While it might seem unfair, every person has different risk factors; these can include soft teeth, a dry mouth, or just different oral flora (the unique chemistry of a person’s mouth). The more risk factors you have, the more likely you are to develop cavities. Just like the two types of people described above, you have unique dental risk factors and need personalized care to prevent cavities and other dental diseases. This is why it’s important to me to provide specialized, custom oral care plans for every patient. I believe in identifying and treating issues early, when they are simpler and less expensive to correct. While other dentists might focus on simply cleaning your teeth every six months, finding and fixing problems with your teeth, and scheduling your next appointment, our office strives to give you a higher level of care. I provide in-depth health assessments to identify your unique dental risk factors and work with you to create a preventive plan to keep your teeth healthy between visits. I help you identify your oral health goals and work with you to reach those goals while staying within your budget. My staff and I provide you with personalized, high-quality care in a warm and friendly office. Your safety and comfort are important to all of us! Make your health a priority! Contact us today to schedule a consultation for your personalized dental health plan.